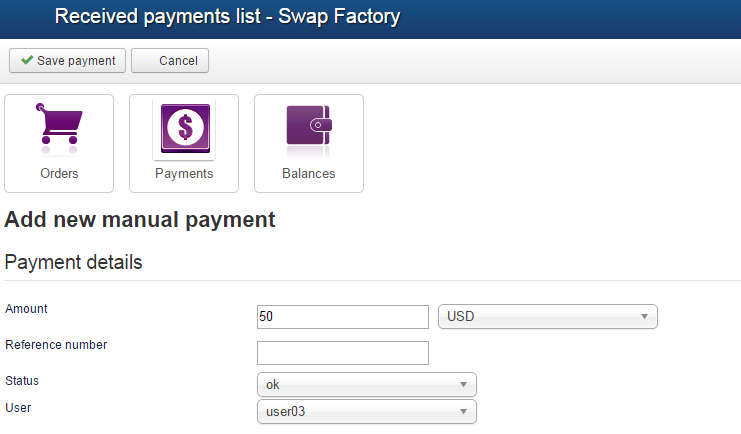 Swap Factory offers webmasters multiple revenue streams that can be managed with ease from the backend. For an in-depth documentation regarding the available payment items and gateways please visit this page. The Order status can be changed manually by the webmaster, when needed. (X = order canceled, P = order pending, C = order completed) Simply check one order and click on Confirm order or Cancel order.